The ‘idea’ of having your own vegetable garden sounds good in theory but I must admit even my first thought was “Who has the time?”… well… fact of the matter is…we all do – and should! 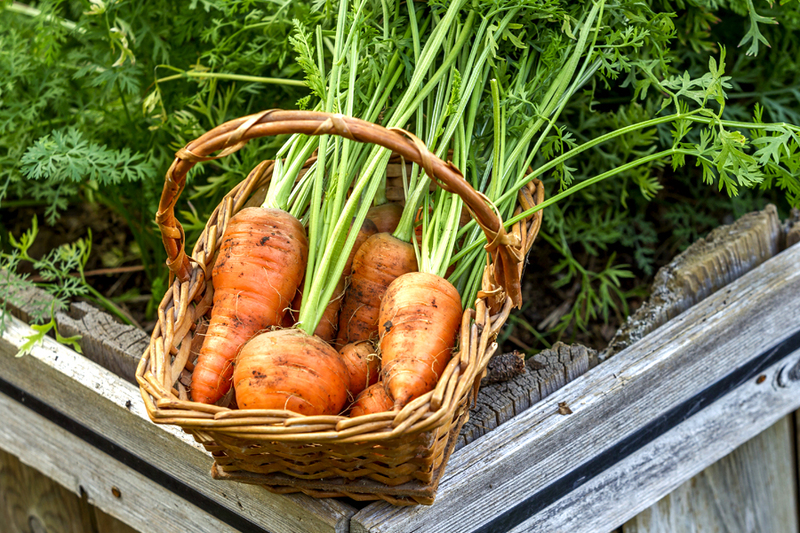 A big thumbs up if you are thinking about starting an edible vegetable garden. It isn’t the hardest thing to do however does take a little bit of your time, some love and a little common sense. I believe that if you choose your plants wisely, it is easy enough to sustain your garden with the limited space you may have as well as saving a few pennies along the way. Plus it is very rewarding to watch your little babies grow. When you get a little bit of time – have a little google. Research which plants work for you and your area. A garden calendar will help you work out which fruits and vegetables grow in which months and when to harvest depending on where you live. Also staggering the sowing of you seed will also ensure a continuous supple of vegetables. What I have learnt is, growing plants that give multiple crops and are high yielding is way more cost effective and also rewarding. For example a bean seed will give you lots of crops over a season where as planting a cabbage will just give you one pick and can take a long long time to mature. 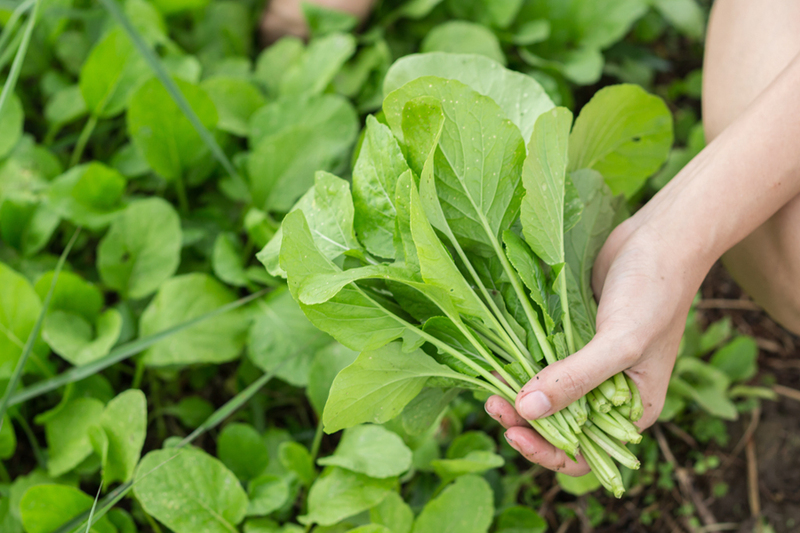 You should choose crops that also grow quickly such as lettuce, spinach and perhaps the radish. What’s really important is to keep on picking! Don’t give up and leave those over ripened zucchini’s on the vines. Once a plants fruits have gone to seed, it thinks it is done for the season and begins to decline. Many plants, like squash, beans and eggplant, will stop producing new vegetables if the existing veggies are left on the plants to fully ripen. Vegetables don’t just need water, they need regular, consistent watering. This does take a whole of two minutes and I find it quite therapeutic and something you can do with the kids. However if you really don’t have those few minutes, their are some crops that don’t require a lot of water… so perhaps this is something you would like to investigate. Irregular watering does result in problems and diseases to your beautiful crops so be careful. Sunshine is also an important factor. Most veggies ripen faster in the sunlight and produce tastier fruits. Vegetables that languish in the shade of leaves are more susceptible to insects and diseases. But most importantly choose vegetables that you like to eat and that are super expensive to buy at the shops! Save those pennies! Here is a list that we have put together of the most cost-effective vegetables to grow. 2. LETTUCE/SROUTS – Save you from wasting your lettuce as it doesn’t take long for it to go bad. Just cut and use and you wish. For those living in the city, in an apartment and are constrained by space – don’t stress… you can still have your garden! An option for city gardeners who have a small yard, or none at all, is the no-dig garden. The above-ground garden is created by laying newspapers, hay, fertiliser and compost until you achieve a raised garden bed. The organic matter rots down into a nutrient-rich soil. The idea is to create good soil content on any surface; you can even create a no-dig garden using just a planter box on your apartment balcony. For small spaces, it’s good to choose plants that give you multiple crops from the same plant as well as climbing crops to maximise the vertical aspect. For example, climbing beans with leafy greens below and carrots underground maximises the use of the garden bed. So go on… give it a try – I promise it will be well worth it!